A Dallas woman shot and killed her husband Saturday for beating the family cat, police say. Authorities say Mary Harrison has been arrested and jailed on a murder charge in the slaying of her husband Dexter Harrison. She's being held on $100,000 bond. 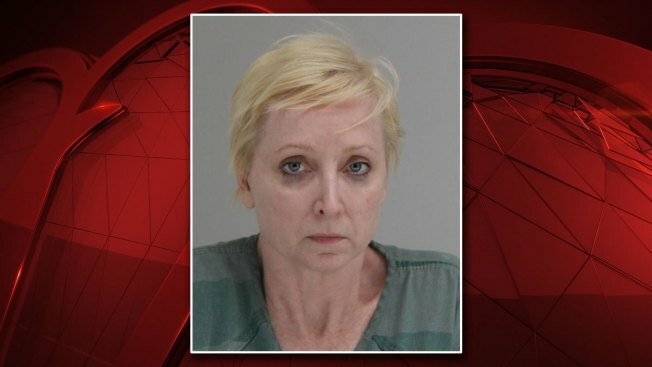 Harrison, 47, told police she shot her husband, Dexter Harrison, during an argument as he was beating their cat, according to the Dallas Police Department. The shooting occured just before 7:00 a.m. in the 13200 block of Fall Manor Drive in Dallas, according to police. Dexter Harrison, 49, was transported to Presbyterian Hospital in Dallas, where he was pronounced dead. Mary Harrison waived her Miranda rights while she was being interviewed by detectives and admitted to shooting her husband.